Years ago I happened onto the long and winding road that has turned into my journey with Australian Shepherds. It started with falling in love with a beautiful and loyal Aussie mix that belonged to a family member, then I got my first rescue Aussie, I was bitten by the stockdog bug, a few more Aussies came along, then my first working bred Aussie, then more to follow. With each turn and bend in the road, I have learned what I am looking for in a working dog. Some lessons have been hard to learn, and I've discovered that the most important decisions are usually the hardest ones to make. 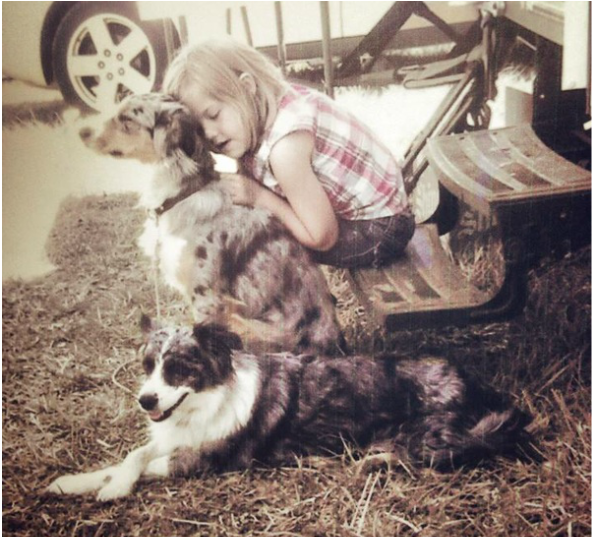 But when it comes down to it, I'm striving to produce dogs that have the confidence to handle real world situations, the biddability to be a teammate in the pasture or on the trial field, and the personality of a great farm and house dog.